You have Child Custody Rights. Know your Child Custody Rights. One of the biggest questions in a child custody case is “Who will get custody and visitation rights?” The answer to this crucial question can be complicated. Once settled, things don’t always go smoothly. This article walks you through some common questions concerning visitation and custody interference issues. We have another Child Custody FAQ, in-depth information on Child Support Modification and a breakdown of Child Custody Relocation Laws. My ex has physical custody of our kids. I am always very prompt in sending my support check, but lately, I’ve been feeling that I don’t have enough time with my kids. Is it a good idea to stop paying my child support as a way to force my ex into giving me more visitation? No, it is not a good idea. In fact, it could backfire and result in you having less or no time with your children. Visitation and child support don’t have anything to do with each other from a legal standpoint, and a judge would probably come down on you hard for withholding your support. Try having a civil conversation with your ex about having more time with your kids. If that doesn’t work, you can request a modification of the visitation schedule in court. Joint physical custody is another option if you and your ex don’t live too far apart. Courts will only grant this option if it won’t harm the children and if the parents demonstrate that they can work together. Our visitation order clearly states that my ex-wife must pick up our daughter at a certain time on a certain day each week, but she is consistently late and sometimes doesn’t bother to show up at all. This is very hard for our daughter, and it often interferes with my life as well. Can I do anything about this? The first step (as it usually is) is to talk to your ex-wife and get an understanding of the reasons why she’s late or a no-show. If her job or family responsibilities are the cause, you may be able to fix the problem with a few simple schedule changes. If she doesn’t have a valid reason and you can’t work out a solution, you can ask a judge to enforce or change the visitation order. You should create a list of all the times your wife shows up late or doesn’t show up at all so you have some documentation of the problem. The court will definitely be more interested in how the situation is affecting your daughter than how it is inconveniencing you, so make sure to focus on her rather than on yourself. I have joint legal custody of my son with my ex-husband. Every time we have to make a decision about our son’s religion, healthcare or education he fights me tooth and nail. I feel that he is just trying to be difficult — do I have to consult him about these things? Sharing legal custody can present a wide range of problems, especially when the relationship between the former spouses has deteriorated. As tough as it may be, though, you still need to keep your ex-husband in the loop when it comes to these decisions, as you may violate a court order if you keep him in the dark. If your ex challenges your unilateral decision-making in court, a judge could end up awarding him sole legal custody, so it’s better to comply with the terms of the original order until it can be modified. As always, you should try as hard as you can to work it out amongst yourselves. Try to get inside your ex’s head and figure out why he obstructs these decisions. Perhaps he feels that he doesn’t have enough visitation with your son. If so, a few more visits might resolve the issue. I have joint legal and physical custody of my children with my ex-wife. She never seems to do anything to help with chores or scheduling, so I end up doing all the laundry, shopping, and planning. How can I get her to pull her weight? First, examine the situation and see if there’s a reason why your ex hasn’t helped out with these responsibilities. She might have personal or work issues that prevent her from doing all that she should. She may not even realize that you feel this way. Talk to her and ask her to help out. If that doesn’t work, send her a cordial letter via certified mail listing the parental duties and requesting that she take over some of them. If she doesn’t respond or start pitching in within two or three weeks, you may have to go to court to change anything. Also, think about asking a mediator to step in. Impartial mediators can really help a situation like this. Sometimes an outside voice repeating what you’ve already said can get the desired results. I’ve had sole physical custody of my son for his entire life. His father recently promised him a car if my son comes to live with him. Can I fight this in any way? Before you try to fight the move, ask yourself if it could actually be a good choice for your son. If you still object to the switch, it’s within your rights to prevent your son from leaving. If you choose to do so, however, your ex-husband could go to court and ask for a change in the custody order. When children get older, judges will generally give greater weight to their preferences. That doesn’t mean that a judge will rubber-stamp your son’s wish to go live with his father, but it does make it more likely that the judge will allow your son to make his own choice. Remember not to badmouth your ex based on your personal feelings about him, but if you think that he is a danger to your son in any way you should explain this to both your son and the court. You could also avoid court altogether by trying to reach a compromise. Increased visitation might satisfy your ex while allowing you to retain custody of your son. Over spring break, my ex took our kids on a trip, but didn’t tell me where they were going. Is there anything I can do to make sure I know of future vacation plans ahead of time? That’s a difficult question. Unless your custody and visitation arrangement states otherwise, your ex can take the kids wherever they want as long as the trip doesn’t place the children in any danger. And yet it is probably in the children’s best interest that you know where they are going in case an emergency comes up. Ask your ex to give you information about any future vacation plans. Explain that you want to know for safety purposes, not to hinder the plans in any way. If he doesn’t provide the information in a few days, send a certified letter that politely repeats your request. You may want to send a copy to your ex’s attorney — a lawyer can usually convince a client to cooperate if only to help their case should the matter go to court. If you still don’t receive a response you can file an “order to show cause” demanding that your ex appear in court and list the reasons why he shouldn’t have to disclose the vacation plans to you. It is likely that a judge will order your ex to tell you the plans. My ex-husband often returns the kids late after his scheduled visitation. I’m worried he may be thinking of not returning them at all one day. Is there anything I can do? It might be possible to clear everything up by talking to your ex about his tardiness. He might not know that his actions have caused you so much worry. If your ex does fail to return the kids, his actions break both criminal and civil law, and also violate the custody and visitation orders that you have in place. At this point, the police can step in to recover the children, and they can charge your ex-husband with kidnapping. You can also sue him for damages. My ex-wife has sole physical custody of our kids, but I have visitation on alternating weekends. She just told me that she plans to take a job across the country, however, which would mean that I could only afford to see my kids every few months. What can I do? Unfortunately, there isn’t an easy answer for this question. State law controls, and states differ greatly when it comes to relocation issues. Some states protect the non-custodial parent’s right to maintain an ongoing relationship with their children, while other states protect the custodial parent’s right to relocate for employment or family reasons. Try to reason with your ex-wife by explaining your desire to keep seeing your children regularly and laying out your financial limitations. If this doesn’t work, you should probably consult with your attorney to learn more about the laws in your state. I have an infant child, and the child’s father has visitation rights every other weekend. He lives in a tiny apartment that isn’t baby-safe and doesn’t have the necessary items, like a crib, stroller or infant tub. Can I prevent the visits? It’s best to comply with visitation order, lest you anger a judge and risk having to give up some of your custodial rights. You can provide what the baby needs, and you can also firmly suggest that the father purchase the necessary supplies. Unless the visitation order explicitly states that the father must buy certain items, however, he isn’t legally required to do so. Consider going back to court to modify the visitation order. Judges will usually require parents to have all reasonable items for the care of the baby. If you still have questions, FindLaw’s Answers child custody forum is specifically devoted to child custody and support issues. Some questions are very case specific (like not telling a spouse where a child is located in state) and can’t easily be summarized or answered. What is more, the answer to questions like moving a child from a home state (or even county) varies by jurisdiction. You need to speak with an experienced family law attorney to best understand a complicated situation such as custody interference. Get a free case review today and at no obligation to you. n matters of family law, perhaps more than any other legal dispute, emotions sometimes overwhelm reason and judgment. This may be especially true when children are involved. Sometimes in custody disputes, this can lead to one parent absconding with the children. This can be heartbreaking for the other parent, but fortunately, the law provides methods to help the parent bring the children back. In these situations, a parent’s remedies include relying on the criminal justice system and petitioning for a different custody arrangement to prevent future repeat incidents. Though law enforcement officials are typically reluctant to intervene in family issues, when it comes to kidnapping or domestic violence, often law enforcement is the best, if not only, remedy available. Parental abduction in many cases will implicate numerous federal and state laws, as well as state and federal authorities, including the FBI. A good bet in these situations is to leave the search to the experienced officers and allow the justice system to run its course. Parents are also free to hire their own private investigators who may be able to devote additional time and resources to the case. However, the additional costs of going this route may be difficult to cover for many. Once your child is located and returned home, you’ll want to do as much as possible to prevent a future recurrence. If you previously had joint custody, and the other parent took the child, they violated the court custody order and denied you your custody rights. This will likely damage the abducting parent’s standing in family law court and could lead to a temporary or even permanent elimination of their custody rights. Of course, this will vary by state, judge, and family. This is the most difficult of parental abduction cases. When a parent flees with the children across borders, the law is far less equipped to provide a remedy. In some cases, the parent will flee to a country that has agreed to an international treaty, such as the Hague Convention on International Child Abduction. If so, a combination of legal and political pressure could lead to your child’s return. In this case, it may be beneficial to contact public officials who may be able to use their political clout to help realize the return of your child. Outside of those countries, however, your remedies will vary greatly and are best discussed with an experienced attorney that specializes in international custody disputes. If you have questions that are specific to your child custody or visitation case, or if you would like help enforcing a custody order, please contact an attorney in your area with family law experience who may be able to help. 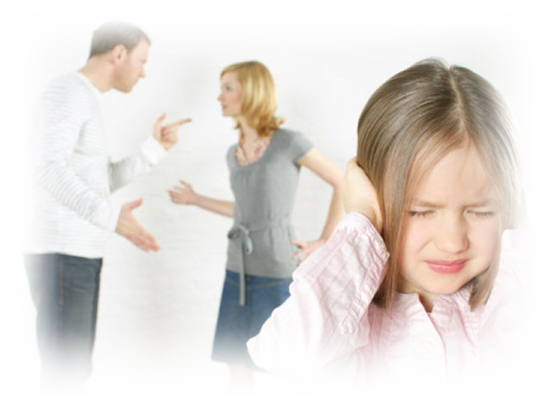 Children need protection, especially during tense domestic disputes when one parent may act on impulse without thinking through the consequences. If you’re worried about the safety of your children, a family law attorney can review the custody situation in your case and work with the court to obtain stronger protections for your children. The good news is that you can contact an experienced attorney near you today and receive an initial evaluation of your case at no charge.